(capacity of a train) × (number of train per hour). Like for buses, the capacity of a train is a function of different parameters, mainly person per square meter occupancy standard, and seats arrangement. (length of the train) × (width of train). 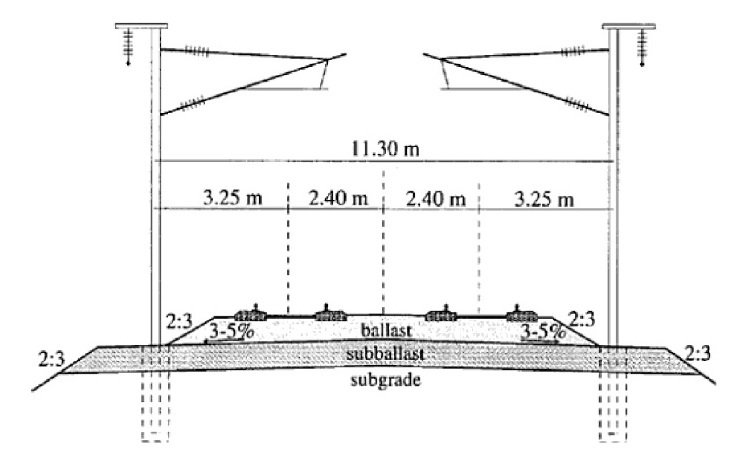 …and a train length, is constrained by the station’s paltforms length, which are typically very expensive to expand. For matter of comparison, the theorical Canada line capacity (with 50meters platform) is just 15% lower than on most of the parisian subway lines, such as its line 2 or 5: those lines carry ~100million riders a year. A 68 meters Vancouver skytrain consist, compared to a 75meterParisian MF01 5 cars consist (operating on line 2,5 and 9): the later has lower theorical capacity because it is narrower, but it has greater practical capacity due mainly to a better intercirculation. 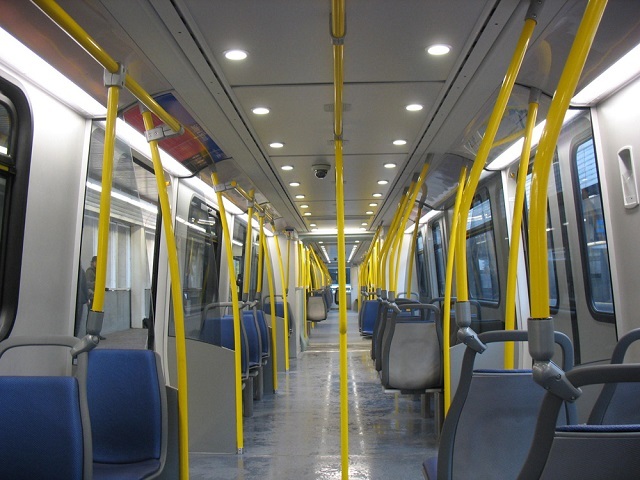 Furthermore, all doors are equidistant on the MF01 , while on the skytrain MK2, people waiting in red zone have to report on a nearby door zone slowing down the boarding. Similarly people standing in red zone aboard the train are too far from a door slowing down the alighting (or conversely limiting the practical capacity of the train by passenger reluctance to stand too far away of a door). 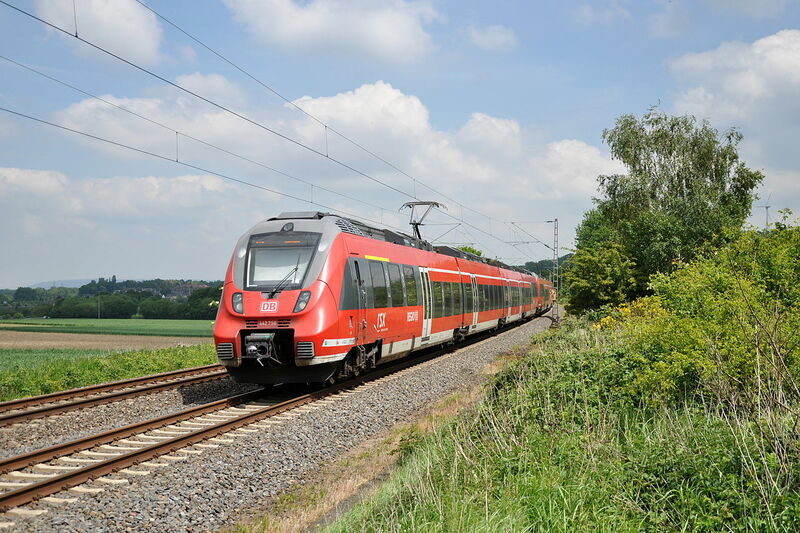 A single track, vs a double track, at the end of a line could be used as a cost saving measure, but obviously it affects the frequency of a train line. That said, if the single track portion is short enough, the impact can be relatively minimal. ((time to travel for and back the single track) + (dwelling time × number of train to be stored) ) / (number of train stored). 2 trains can run every 4mn on the Richmond Brighouse branch of the Canada line. Addressing Canada Line capacity questions, Translink, June 3, 2010. In Vancouver, Councillor Heather Deal, whose devoted great amount of VPD time and taxpayer money to enforce the local jaywalking laws, couldn’t agree more . 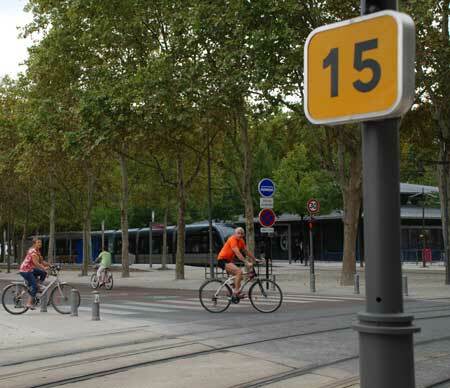 In the Meantime, it is worth to note that in the not so “world class” countries such UK or France, jaywalking is legal as in many other European countries, and still it is generally safer to be a pedestrian there than in Vancouver and more generally in North America. 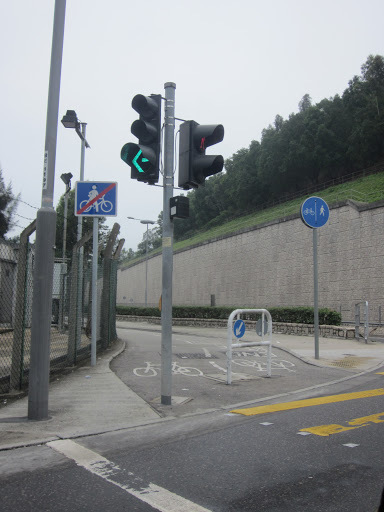 The edition contains not less than 2 articles related to cycling in Hong Kong: “Cyclist see open roads up ahead”, and “Cyclists face uphill ride on buses, MTR”. 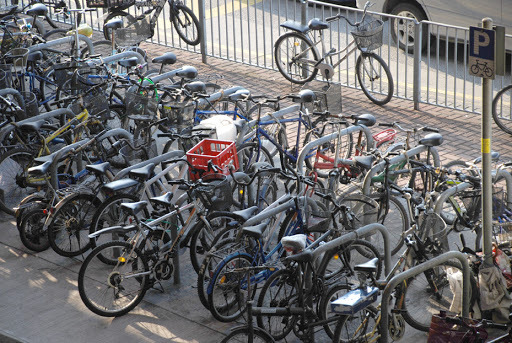 Statistics show that bike accidents are on the rise too. Helmet laws and bike licensing, are called by some quarters, to reverse this worrisome trend! 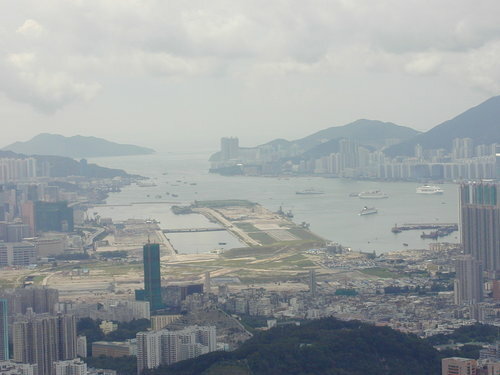 View on Kai Tak, the Former Hong Kong Airport. Veolia operating The Hong Kong Trams, is making the case for a tramway. Many readers of the South China Morning Post support this idea. 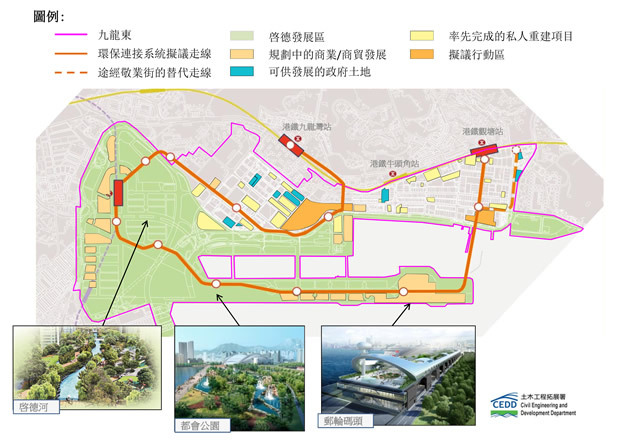 Norman Y. S. Heung, project manager at the CEDD Office, explains it is “Practically impossible to accommodate tram system at Kai Tak”, because taking too much road space (sic)…Worth to note that most of the area is not even built yet! 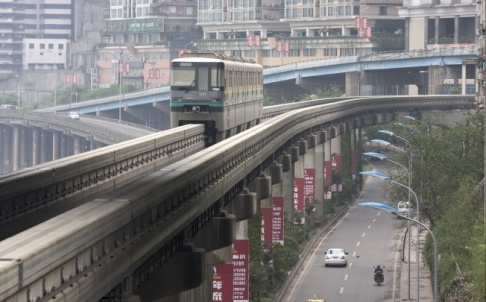 Many other arguments are advanced in favour of the Monorail, which is also presented as a tourist attraction… but at the end the quality of the urban environment is not one of them. It is also explained that the “walking environment will be improved by provision of footbridges and [underpasses]” (sic). 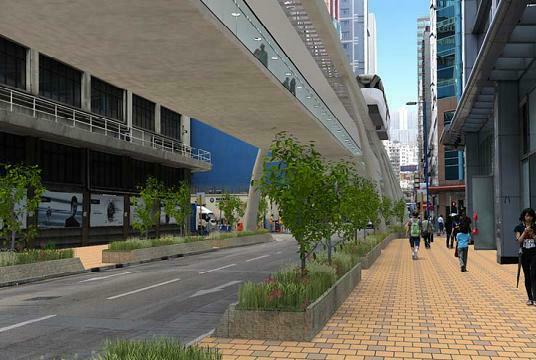 So Does the Kai Tak’s monorail will look like the Chongqing one , or does Hong Kongers will push for a different street experience, may be on the model of the Kunming’s Zhengyi Rd? Vancouver launches campaign to educate ‘fragile’ pedestrians, Jeff Lee, Vancouver Sun, February 07, 2012.
relax and enjoy watching the city life:. Fulfilling the request has always been tricky in a city where the space is at a premium, and there is the competitive and not less important need, How to get there?. by feet, bike, transit, or by car ? It has become clear that the car is consuming too much space. 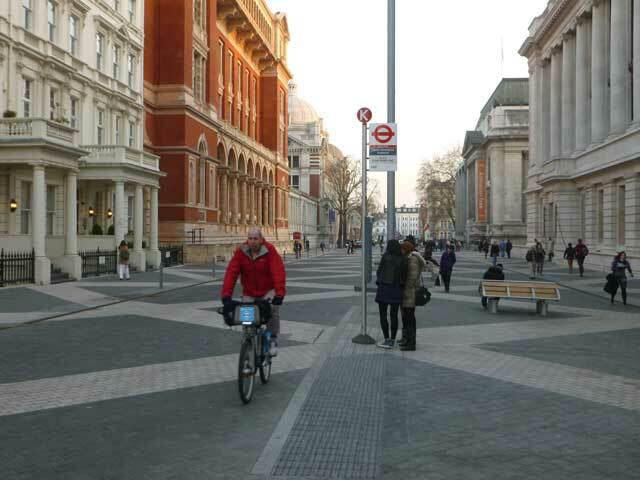 Walking certainly allows a much more efficient use of space, but does it is a good answer to the elders and disabled who are also part of the city? 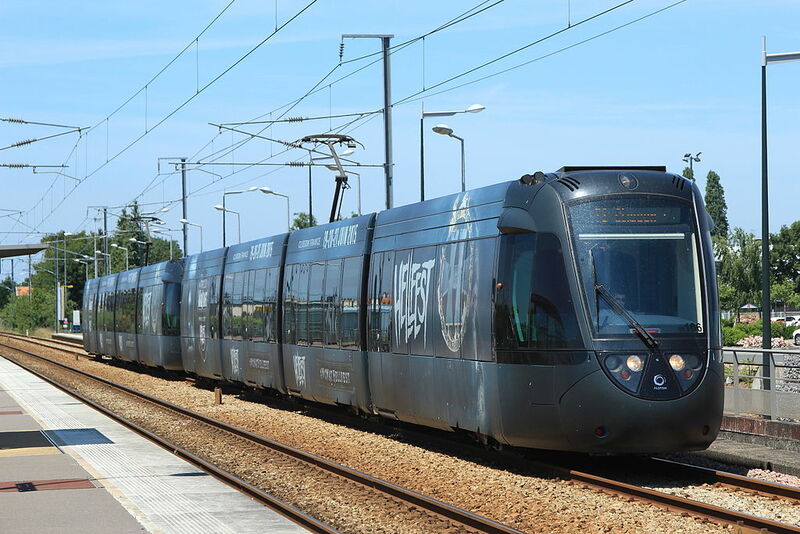 The success is immediate, and up to date, Strasbourg has been the showcase of successful urbanism and transit integration- Translink routinely illustrates LRT proposals with the Strasbourg trams-and it can be considered as the veritable origin of the tramway renaissance in Europe, and beyond the new way to think transit in Europe. 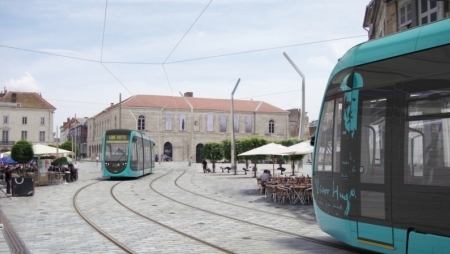 We will have to wait almost 10 years, to see a new transit network able to cast shadow on the Strasbourg innovations, it will be in Bordeaux, France, where most of the historic city is classified as World Heritage Site by the Unesco making the mere presence of an overhead wire a major issue. 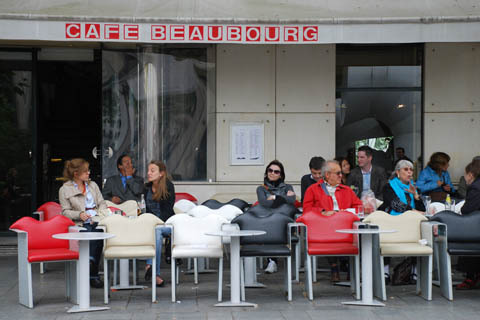 Here, none of the Strasbourg innovation has been repelled, but only improved. The bus has long been the poor parent of the tram evolution in term of design, but things are slowly changing beyond the simple mimicking of the train feature . 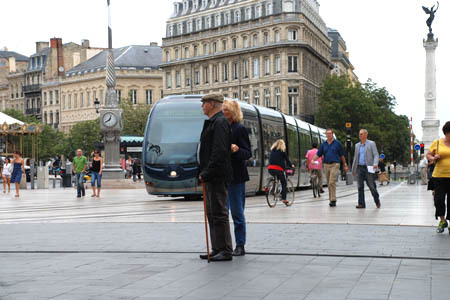 Thought cohabitation of bus and pedestrian in a naked space, is less frequent that in the case of tramway, it is more due to the fact that the naked street concept is relatively new than some inherent limitation imposed by the bus. 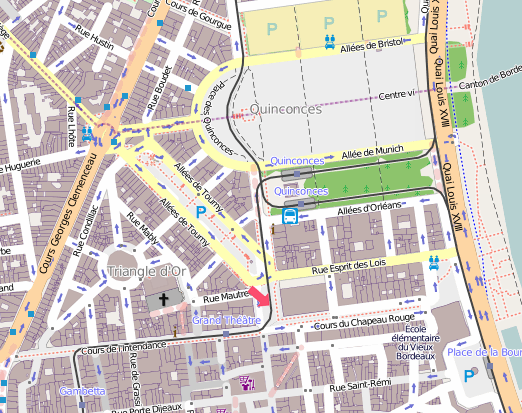 Besançon, France used to have a bus route in a shared space, before converting it to Tram; eventually showing the progress toward a naked space. 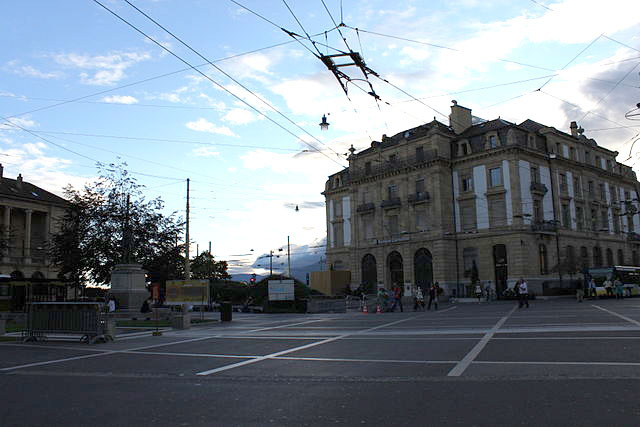 Neuchâtel, Switzerland, is an example where the street paving gives no indication of where the bus is passing. 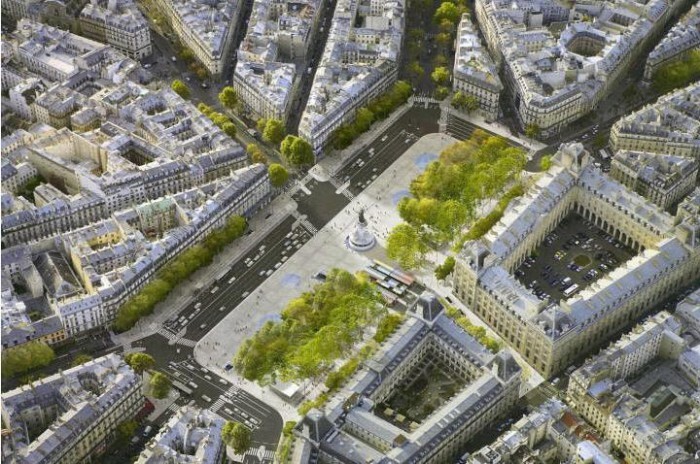 In Paris, the rehabilitation of Place de la République-by Trevelo and Viger Kohler, is also adopting the “naked concept” for bus. 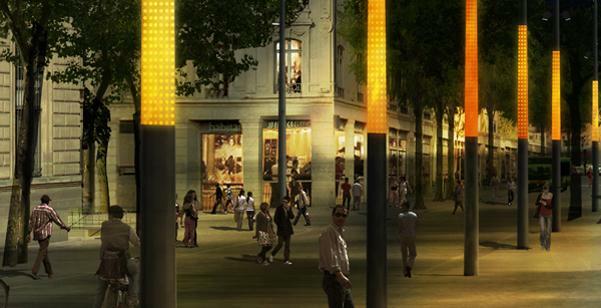 Notice that here too, imposing a bus detour to avoid the pedestrianized plaza has been ruled out. trams is the non american name for streetcar…but in the hierarchy of transportation, the modern European tram is an intermediate between the streetcar and the LRT as known in Portland or elsewhere in America. Catherine Trautmann from the center left, defeating center right incumbent Marcel Rudloff, in 1989 in Strasbourg; and Alain Juppé succeeding to Jacques Chaban-Delmas in Bordeaux. 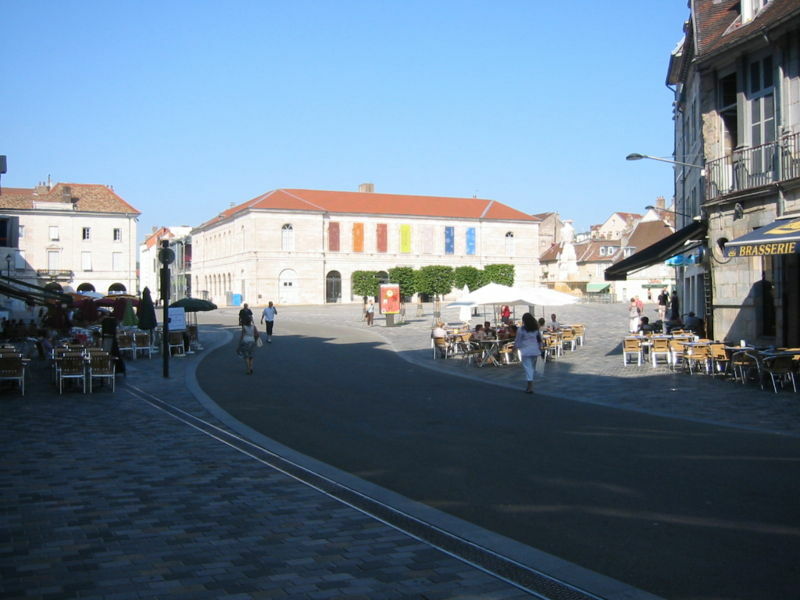 It has been an interim mayor in Bordeaux from 1995-2004, Hugues Martin, due to the fact that Alain Juppé was also member of the French government. Alain Juppé had also got convinced of corruption, preventing him to be elected for a year: it has spent this year in Montreal, where there is little doubt he has found inspiration for the waterfront renewal of Bordeaux. Some preliminary statistics essentially compiled of Translink Annual performance reviews (BC Transit service plans before 1998) and APTA for ridership and US data. 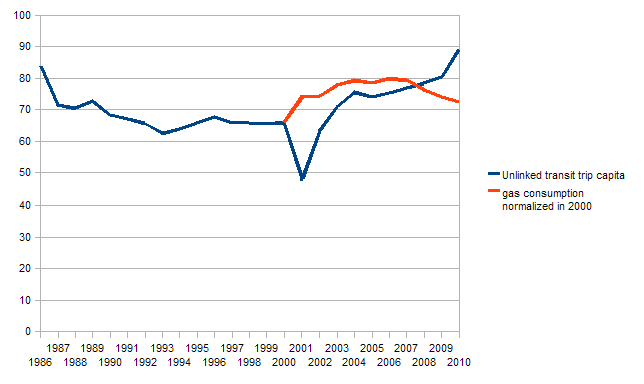 The figure above also indicates – in relative to ridership number normalized in 2000 – the gas consumption per capita. 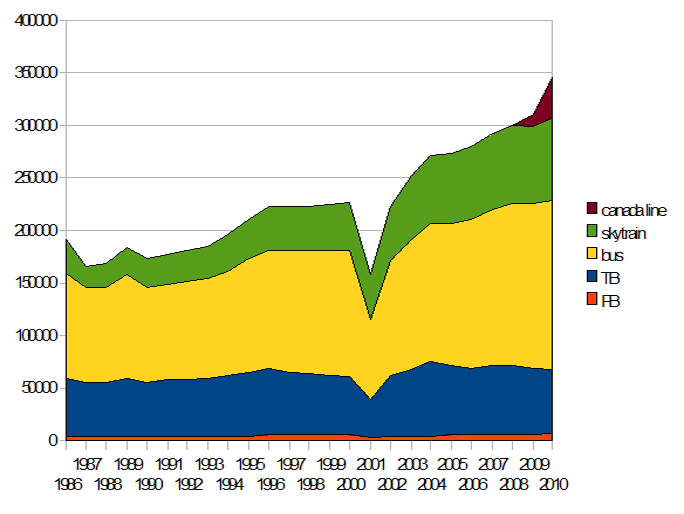 It appears clearly enough that the gas tax, which has increased from 10c, in 2000, to 17c/l recently, is not a sustainable funding option to Translink… neither property tax, is! Below, are some statistics, published now, to provide numbers to substantiate a discussion following a recent post on the priceTag blog. With heavy investment, the operating cost is only part of the story. Usually the debt service is pretty great, an the Sacramento example previously presented illustrates it as well for “cheap” LRT. 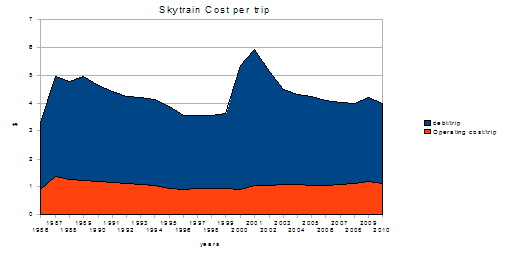 The Skytrain debt service has been computed assuming a 30 years amortization at fixed rate, the rate was the 10 years+ Canada bond rate, at the date of the delivery of the purchase (opening new line, delivery of vehicles… It looks a pretty reasonable assumption since the number align pretty well with the one reported by BC Transit before 1998-Translink doesn’t carry the debt of the Skytrain). So far $2.7 billions of initial capital investment in the Skytrain network (Expo and Millennium lines have been accounted. Obviously the opening of the Millennium line in the aftermath of a strike, has impacted severely the debt/trip. The overall ridership on the network has absorbed it, and the Skytrain debt level was estimated at $2.87 per trip in 2010.
non edited spreadsheet with original number available here (google docs spreadsheet ). Between 2 rants, a wellknown blog from time to time, post pictures of empty trains wandering in some soulless NA districts. those pictures are supposed to advocate by themselves for LRT everywhere in BC. 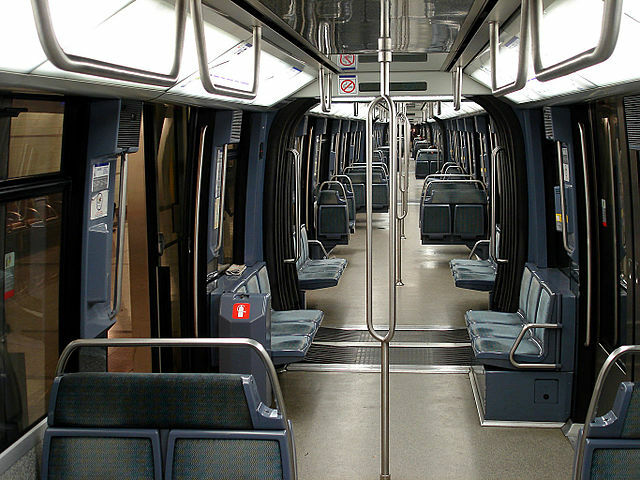 A picture of the Sacramento LRT; somewhat qualified as a success by the LRTA ; gives us the opportunity to shed some light on the claims advanced by some disengenuous LRT advocates. Usually people cite Portland as an example of urban renewval induced by LRT: one of the main reason is that there is no other example to cit. 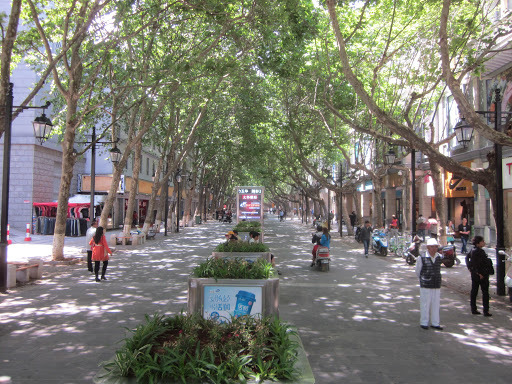 The vancouver LRT advocating blog suggests that we should follow the example of Scacramento K street for not less than our Granville mall. After been closed to motor traffic in 1960, the once vibrant Sacramento K street mall, has started to spiralling into business slump, pretty much like Granville did…In 1987, the introduction of the LRT was eventually the tool supposed to revert the K street bad fortunes. 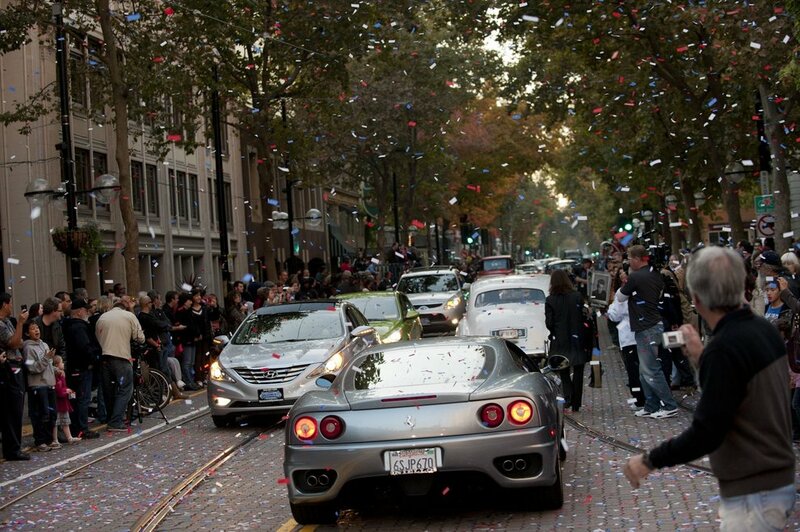 Alas, the LRT didn’t bring urban renewval in Sacramento. Some other efforts has been put in without success and it appeared lately to the local that the LRT was more part of the problem than from the solution…and, this very week-end, resident of the city was celebrating the reopenning the K street to motor traffic, as the latest attempt to bring urban renewval! while people of the Valley complain about bad service, bad service because poor frequency, like 30mn headway…others explain that rapid transit should be available 24h/day. The Sacramento Gold line extension, connecting the Folsom suburb to vancouver, offer a 30mn frequency…peak day…no service after 7pm on week-end…and the 30km journey will take you 1hour. Enjoy! whereas Vancouver people come by bus to meet the Skytrain, in Sacramento people drive to the LRT…Some in Vancouver believe it is a superior alternative but it is certainly a less efficient use of land and it contribute to maintain a reliance on the car are primary transportation mode, and per way of consequence is certainly not the most efficient way to prevent urban sprawl. 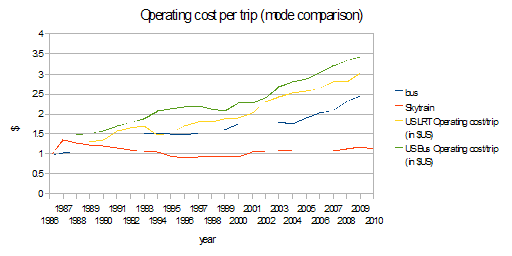 In short, he same operating cost expenditure can buy a 8.5mn bus frequency where LRT doesn’t offer better than 15mn. it is more than probable than the Sacramento LRT 15mn frequency can’t be justified by ridership level, but is maintained as a floor frequency to keep some relevance to the service. In despite of this minimum, the Sacramento LRT farebox recovery hoover in the low 30%. But do we really get the bang for the buck ? 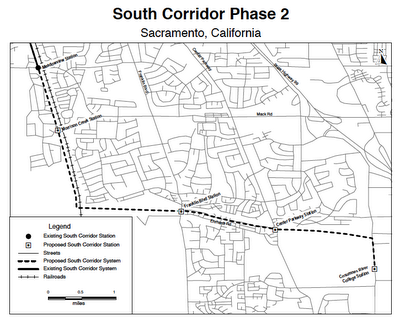 That is not overly surprising, since the extension also shows the limit of the LRT concept: the LRT needs one hour to travel the 30km between Folsom and Sacramento, otherwise well linked by an Interstate hwy. 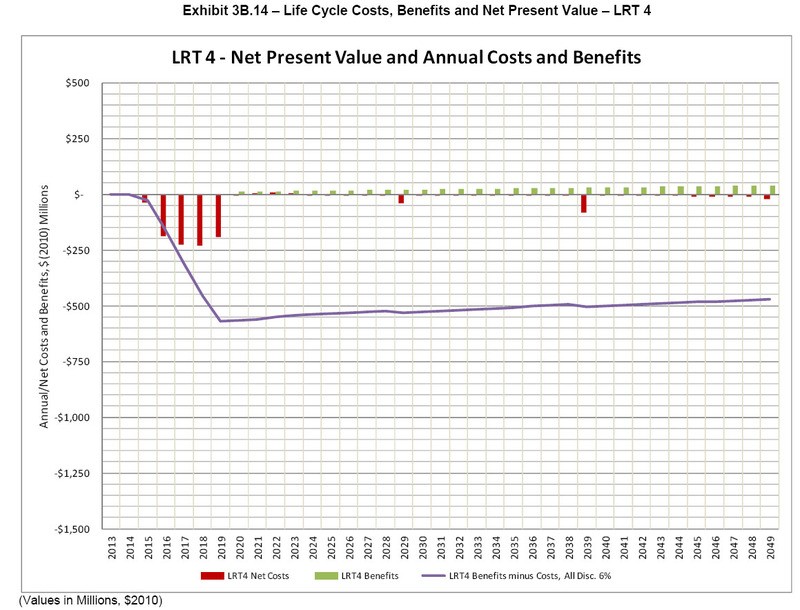 How it compare to the Evergreen line? (all number from  for Sacramento). * ridership come from transfer of other transit mode + new customer, trip generated by new customer only are in (), and cost per trip in () generated on the basis of new customer’s trip only. ** Capital cost assuming an amortization period of 30 years at 5%. On one hand the Sacramento rider, will have a train at frequency no better than 15mn, 30mn after 6:30pm, last train at/around 10pm. On the other hand the Vancouver rider will take for granted a service level which stay the exception in the LRT world, but can come at a marginal operating cost increment in the realm of the automated trains. Numbers strongly suggest that in despite of looking “cheap” the Sacramento extension will be significantly more expensive than the Evergreen line on a rider basis. 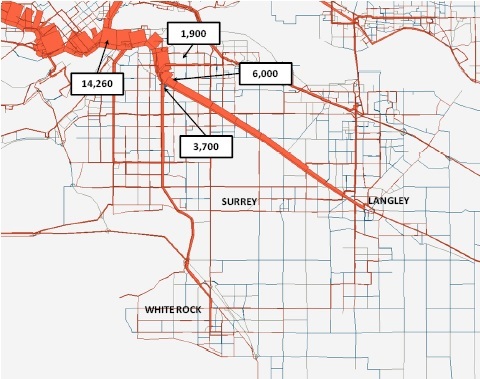 When considered new rider only – the eventual reason to go with LRT being it attracts more new customer otherwise reluctant to take bus- the Sacramento extension is a proposition nearly as three time more expensive that the Evergreen line. …and when a technology is appropriate, there is no need for disingenous and misleading claims as too often read on some rail fan blogs, to make its case for.